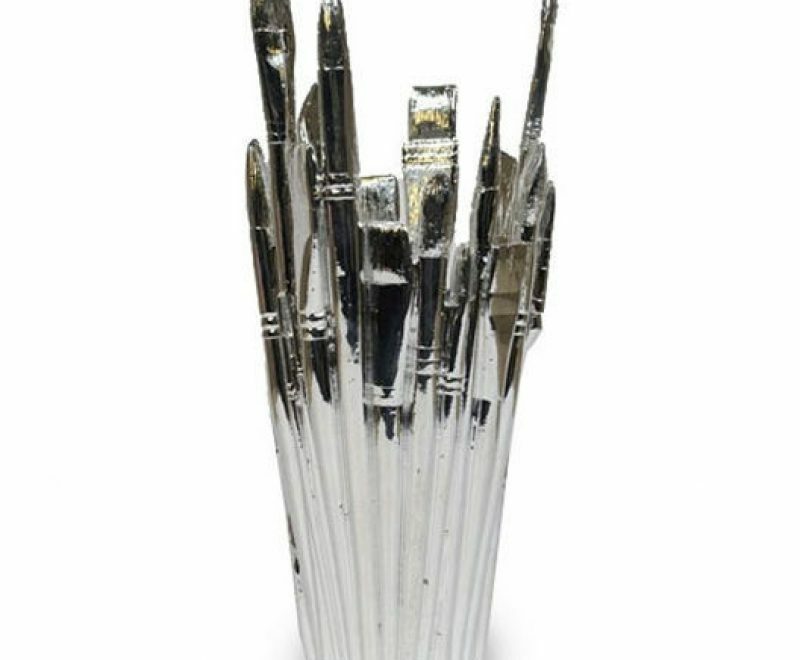 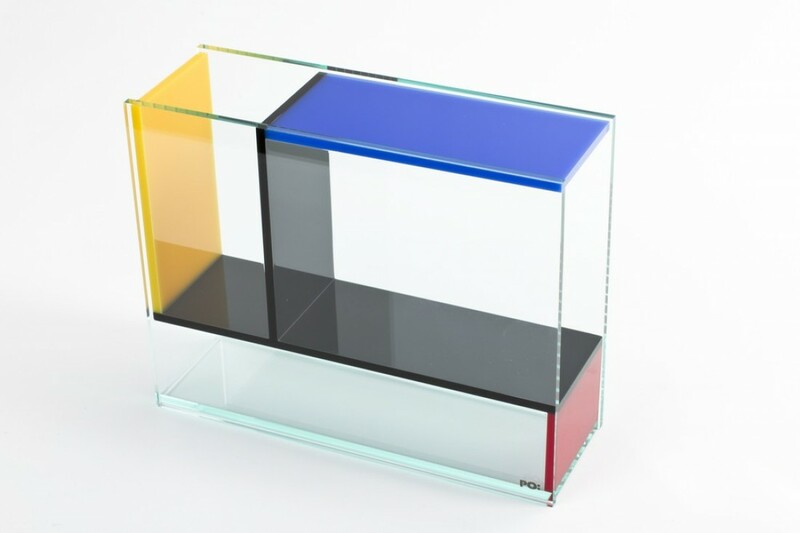 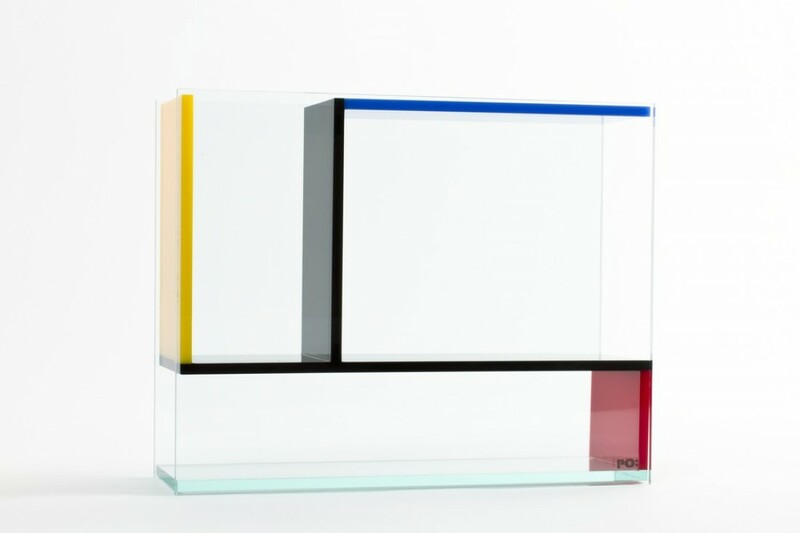 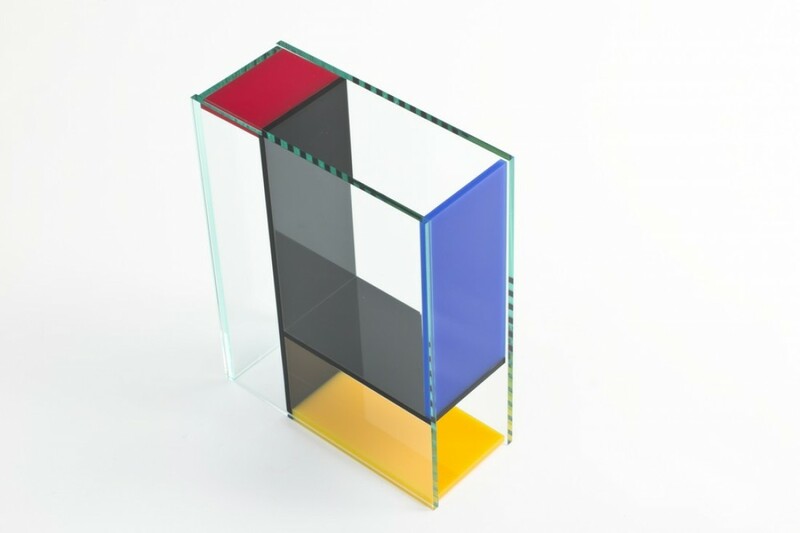 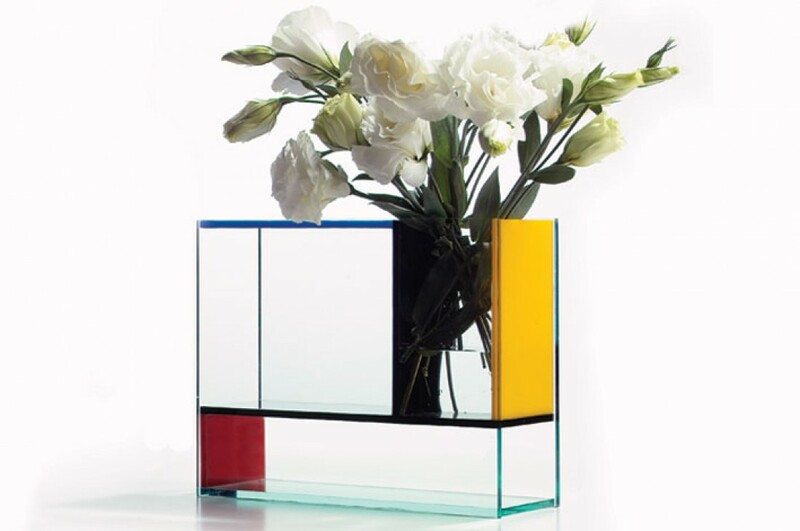 This vase is inspired by the work of Piet Mondrian, the Dutch artist who was an important contributor to the De Stijl art movement and is considered one of the founders of modern art. The painter believed in harmony and order by a reduction of the essentials to form and colour. 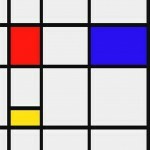 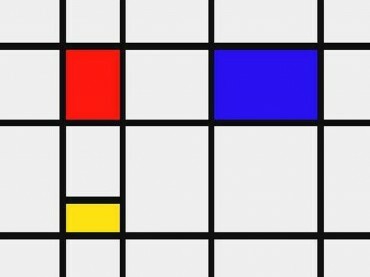 His Instantly recognizable abstract paintings were defined by straight lines, primary colours, and right angles. 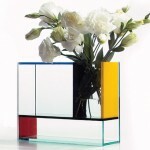 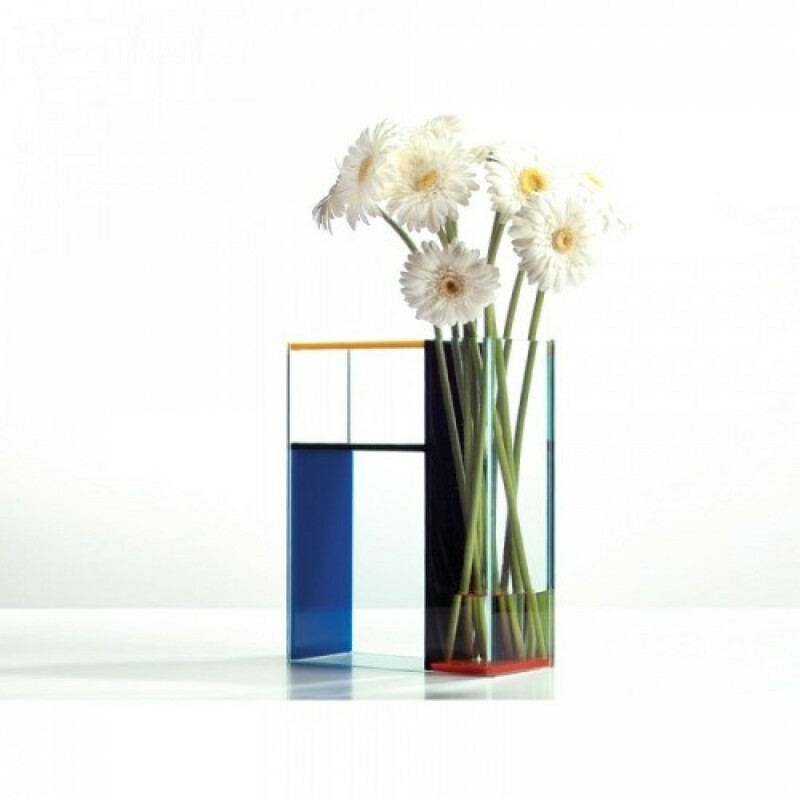 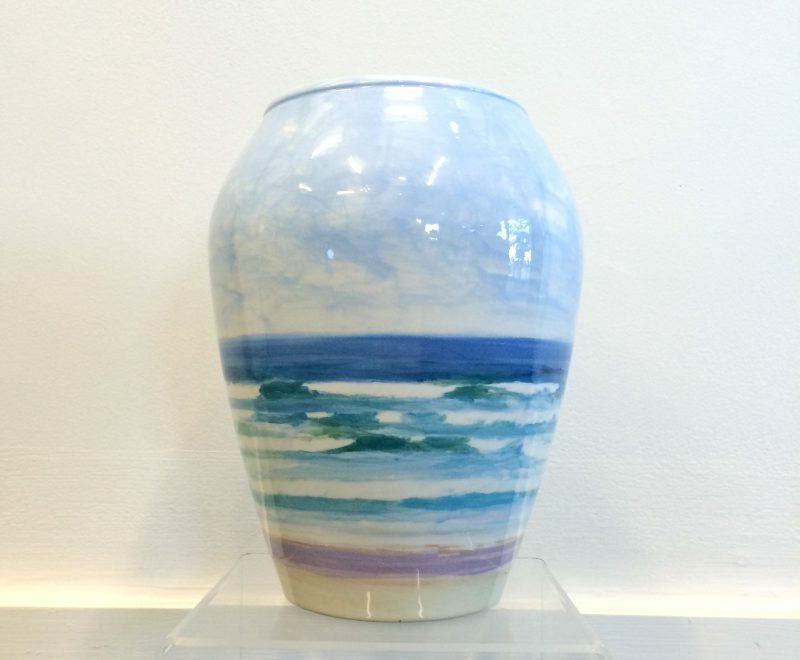 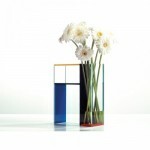 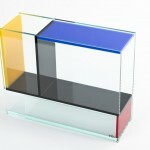 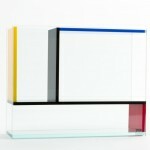 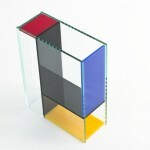 This beautiful vase takes on Mondrian’s renowned simple geometries and colour palette. 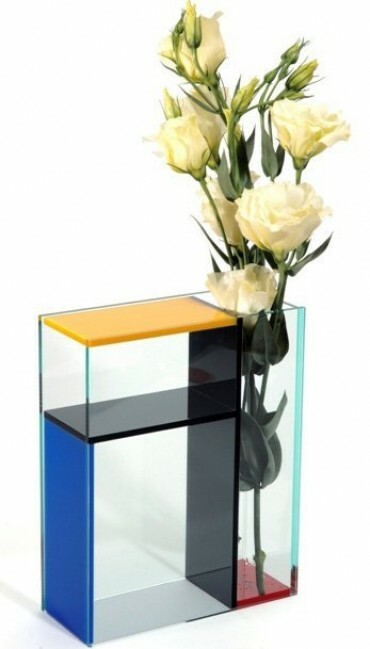 While Mondrian’s paintings are two-dimensional, this vase is three-dimensional and has three separate compartments to place your flowers. 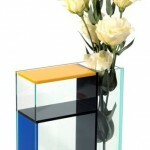 The three areas are of varying sizes to suit the flower arrangement of your choice. (Love the long stem look.) Made of acrylic, it was created by Danish designer Frank Kerdil.